We bring for you the new old wines. My name is Oana and I am the owner of ​“I​n ​W​ine We Trust”. It is a startup, beginning on 26th September 2018 and having first experience in Denmark in the heart of the pleasant Tivoli park in Halloween and Christmas seasons. My company import, promote and sell the best Romanians wines from the new generation of wine producers. These niche producers dedicate a lot of attention and with high care to get premium products, high quality wine, made from the best grapes. There is something for everyone’s taste, from the international grapes: Chardonnay, Pinot, Merlot, Cabernet Sauvignon, Sauvignon Blanc or the Romanian grapes: Red: Fetească Neagră (Black Maiden), Novac, Negru de Drăgăşani or White: Fetească Albă (White Maiden), Fetească Regală (Royal Maiden), Crâmpoşie, Tămâioasă (Romanian Muscatel). 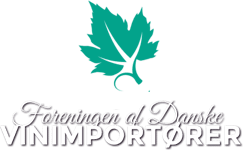 I look forward to have you tasting our wines in the events we organize around Denmark.